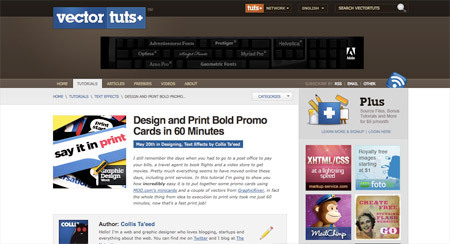 For this week’s roundup of cool and creative links we have a collection of the top design blogs to follow; a bunch of designers who share their logo design processes; a tutorial on how to convert web design mockups into XHTML/CSS; a tutorial covering the process of creating a printed promo kit; and a compilation of sweet vector business cards. If you’re a fan of my blog here at Blog.SpoonGraphics, be sure to also check out 2Experts Design’s roundup of their top 37 design blogs to follow for lots more creative goodness. Following the design process of a fellow designer is a great way to pick up new tips. The Design Cubicle has this useful roundup of 16 logo design processes from a range of creative designers. 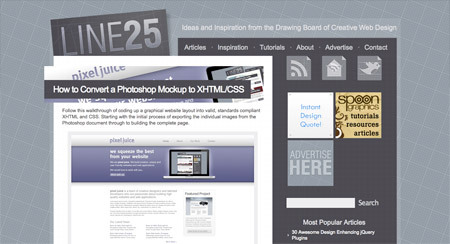 One large tutorial I recently wrote for my second site over at Line25.com covered the process of creating a complete site design. 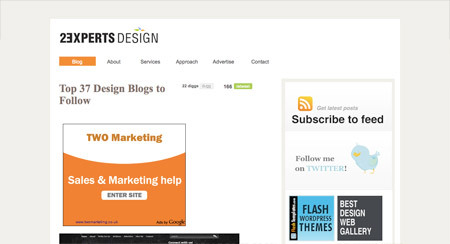 This second half covers quite a sought after topic of converting the PSD into a coded design. Graphic Design week has just finished over at the Tutsplus group of sites, which saw some exceptional print design topics being covered. One I thought was quite unique was the article: How to design and print a bold promo kit. What, Vectortuts again?! Yep! I couldn’t go without mentioning this recent roundup I created that showcases a bunch of vector business card designs. The list serves some great inspiration so feel free to drop by and check it out! 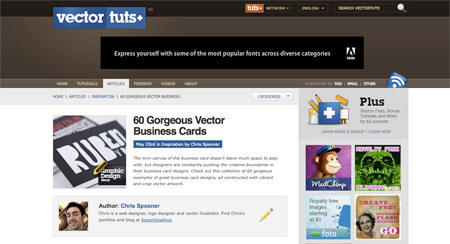 My fav is vectortuts..I always follow this ..2experts design is new to me. 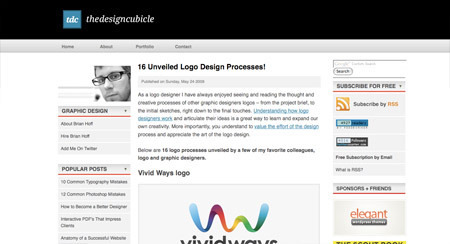 Chris thank for including The Design Cubicle’s Unveiled logo processes post. Your Vivid Ways logo was beautiful and the documented process was nothing less than fantastic. Thanks! Thumbs up to The Design Cubicle!